Curaçao Chronicle published an article on September 19, 2016, under the headline ‘Sint Martinus University Involved in Illegal Activities’. In this article, there are different accusations expressed against St. Martinus University. 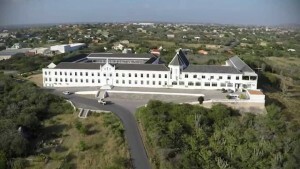 By verdict of October 19, 2016, the Court of First Instance in Curaçao ruled that Curaçao Chronicle has not been able to plausibly argue these accusations and therefore this article is unlawful towards St. Martinus University.